* Please no Pine-Sol or other pine cleaning products, they are poisonous to pets. Whether you are out shopping or getting rid of some gently used items, or putting together a donation drive at your business, school or organization, we love supply donations! Our shelter goes through a tremendous amount of disinfectants, food, litter, paper towels, etc on a daily basis. 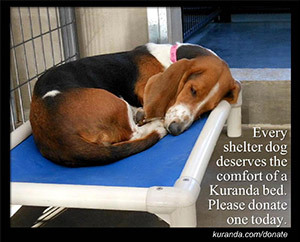 We use blankets and beds for the comfort and warmth of our pets. Below is a list of items that we use daily in the shelter. Donating is easy and can be done in so many ways. You can click the PayPal Donation Button to left, or you can purchase items from our Wishlist below, that the shelter uses every day. You can mail in a monetary donation, or order from our Amazon Smile Wishlist and have items shipped directly to the shelter. If you are a local business or service provider you can donate a service or product. All donations are tax deductible and greatly appreciated!